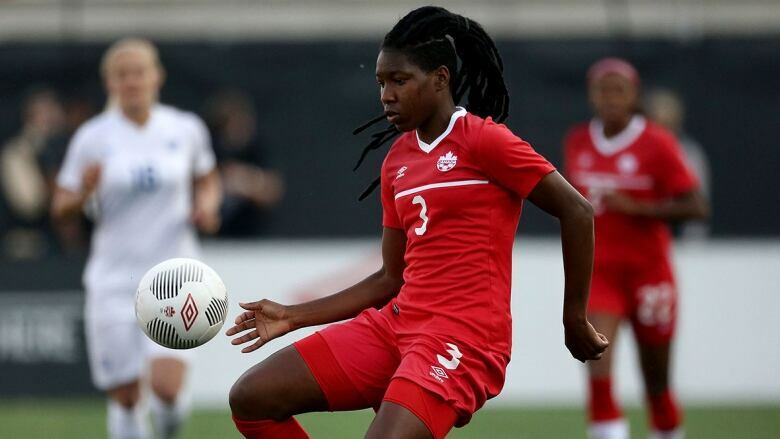 With the World Cup five months away, veteran midfielder Sophie Schmidt spoke with the CBC’s Sonali Karnick, detailing the team’s preparations for the ultimate tournament in France and life after John Herdman. Canada's women's soccer team is a few months away from the FIFA women's World Cup in France this June but is ready for what seems like the long road ahead. While the Canadians are two-time Olympic bronze medallist, their best finish at a World Cup was a fourth-place finish in 2003. SS: Germany and the U.S are the standard right now in women's soccer and they have been for a very long time. I believe that we've closed the gap on them ... we're right there. I think we could potentially beat either team on any given day. We have the structure of the organization, as well defensively, the power going forward. It's just a matter of bringing all of those things together for a peak performance for the big main event. I think it helps that a lot of our players have had some big tournament experiences and they know what to expect because under pressure, that's when it counts the most. As much as we can minimize our mistakes, that's going to make the difference between winning and losing.